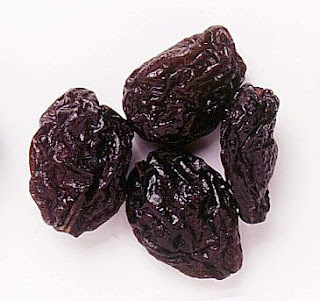 I saw your ad on Craig's List for the four containers of dried prunes http://toronto.en.craigslist.ca/tor/for/1142478335.html . You say that you have 4 containers with 22000 kg of dried prunes in each which you are selling for $3.200 US per ton (I assume you mean US ton or 907kg), and that there are between 80 - 110 prunes per 950 grams. I guess this means that you are selling $310474.09 US of prunes on Craig's List (good idea BTW) ... OR ... I was mistaken when I read $3.200/ton as $3200/ton and you are actually selling 88000kg of prunes for about 300 bucks. If this is the case then I will purchase them sight unseen because I think that is a pretty good price for between 7.4 and 10.2 million prunes.